Aceik works directly with FuseIT, principally by aiding customers in making the link between their Sitecore visits and their Salesforce contacts through FuseIT’s industry standard S4S (Sitecore – Salesforce) connector. We handle the implementation so that the clients’ Sitecore analytics are surfaced in Salesforce, allowing the sales team to track the behavior of individual website visitors then personalize their experience. FuseIT is a private company founded in New Zealand in 1992. 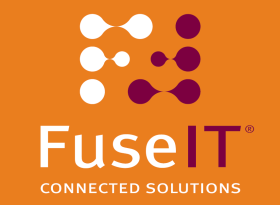 FuseIT has a history of building enterprise content management systems but our real forte is complex systems integration. Our qualified and highly capable team of professionals have proven experience in consulting, business analysis, solution architecture, software development, integration and innovation. We’re a tight-knit team of Melbourne developers who are true craftspeople, creating cutting-edge solutions with the latest Sitecore technology, solving business problems while forging long-term client connections.